I don't claim that this map is perfect. I guarantee lots of people will disagree. 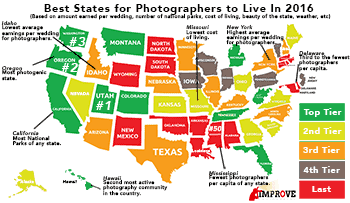 But according to the 20 data sets that we analyzed in our excel sheet, this is the list of the states according to the best place for photographers to live. Every state has something to offer photographers, and good photographers can make great images anywhere, but the question was asked last week in our forum what the best state is for photographers to live in. So, we dove into some numbers and had a little fun. Here's our list…. After considering 20 different data sources, we ranked all 50 of the U.S. States from best to worst to find out where the best place is for a photographer to live. The rankings reflect the average earnings by a wedding photographer, cost of living, weather, number of national parks, the amount of tourism the state attracts given its size, ratings from a poll of readers of Improve Photography, size of national parks and number of visitors to each national park, locations of photography workshops (indicates a location worth shooting), and a determination of the vibrance of the photography community by comparing traffic to Improve Photography compared to the population of the state. To pull the data streams together, we used data from Parade.com, TheKnot, The CDC, many state tourism websites, Forbes, the Washington Post, the National Park service, the National Academy of Sciences, and others. REMEMBER that this is not just about what state is the most beautiful. If that were the case, states like Maine would shoot up in the rankings. But it's looking at weather, cost of living, how happy the citizens are, and many other factors as well. Photo by the author – Jim Harmer. This shot was taken in southern Utah. 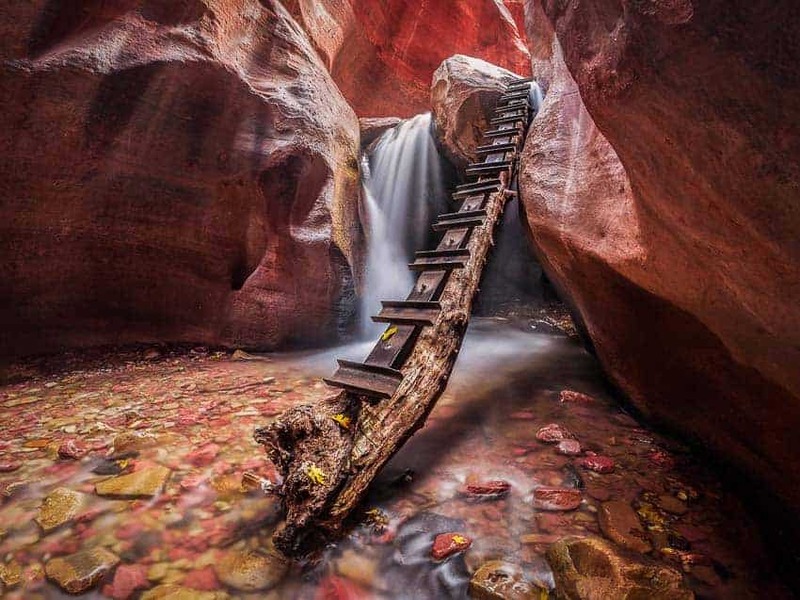 Details about this location can be found in the Southern Utah photography locations link mentioned in the Utah section. Utah dominated many of the ranking categories. It has more national parks per acre than any other state, including Arches, Bryce Canyon, Canyonlands, Capitol Reef, and (my personal favorite) Zion. Readers of Improve Photography voted Utah as the second best state in the country to take pictures (behind Oregon). One of the things that makes Utah such an excellent photography destination is that it is so diverse. Southern Utah's red rock deserts contrast dramatically from the high mountain areas, which gives photographers a diversity of photography locations and a wide diversity of climates to choose from. See some of my favorite southern Utah photography locations here. The photography community in Utah is also very strong. Analyzing the traffic to ImprovePhotography.com over the course of several years shows that it has the most photographers per capita of any state. Utah ranks 10th highest in the nation for life expectancy, has a very low rate of disease, has a strong state economy, and its citizens are the happiest of all 50 states. Utah ranked low for the average amount earned by a photographer per wedding (averaging $1,376.89 on average per wedding photography session), due to the fact that Mormons don't allow photography of the actual wedding ceremony and the fact that couples generally marry slightly younger than in other states (before they have money). However, other types of professional photography are very promising in Utah–especially baby and family photography. Utahns have more children on average than any other state. Cost of living in Utah is relatively low (12th lowest in the country), so photographers don't need to earn as much to make a good living. 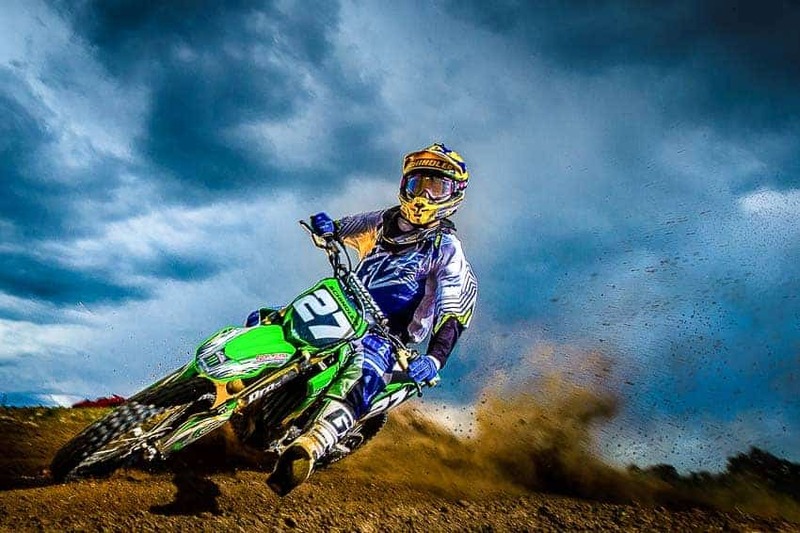 Also, the Salt Lake area has a booming business district that offers many opportunities for commercial, headshot, advertising, and product photographers. Photo by the author – Jim Harmer. 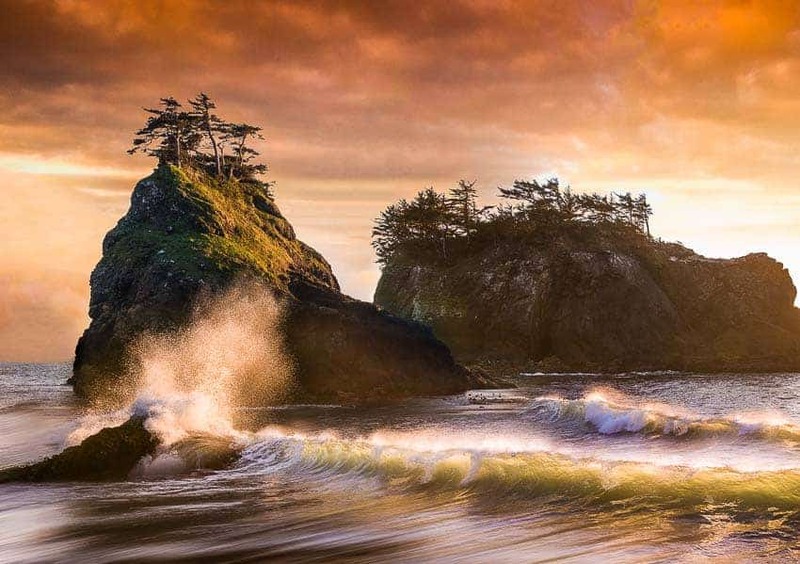 This picture was taken along the Oregon coast last year while doing a free meetup with readers of Improve Photography for a few days. This is a composite of 7 photos. I moved the mountains, waves, and sunrise from other shots and stitched them together in Photoshop. You can't pump your own gas (state law), you have to crawl along the freeway at 65 miles per hour, and your football team's terrifying mascot is a… duck, but you'll be living in the most photogenic state in the country if you move on over to Oregon. Hawaii put up a good fight against Oregon for the most photogenic state (as did California), but Oregon won out for its incredible diversity of landscapes within a one hour drive of Portland. There are at least 30 world-class waterfalls in the Columbia River gorge that are free to access on public land and most only a short hike down a trail head. Moss, trees, and vines grow on every inch of the landscape, which adds even more interest. And then there's the gorgeous Oregon coast with miles and miles of top-notch photo locations. The average wedding in Oregon commands a $1,854 price tag for photography, and the cost of living is relatively moderate in most of the state. Oregon has the sixth most photographers per capita of all the states. Photo by the author – Jim Harmer. To be honest, I can't remember what state I was in when I took this picture. I spent parts of this week in Oregon and Washington. Let's just call it Washington, k? Washington's cost of living is fairly average (34th lowest in the nation), and the average price commanded by a professional wedding photographer per session is ($2,027) puts it at 22nd in the country. These numbers mean a professional wedding photographer can earn a decent living, but it is somewhat average in terms of economic advantages. But what it lacks in money it easily makes up for in beauty. Washington received the fourth most votes by readers of Improve Photography for best place to photograph. With Palouse Falls, Mount Ranier National Park, North Cascades National Park, and Olympic National Park, there is no shortage of photography hot spots. The other advantage, we must say, is that you can order photography equipment from Seattle-based Amazon.com and get it on the same day. THE SAME DAY! That's a pretty nice consolation prize for all the rainy weather you have to suffer through. The photography community in Washington is also quite strong. Washington ranks 5th in the nation for the number of photographers per capita. Washingtonians are the 7th happiest in the country, according to data from the National Academy of Sciences. I hate that this is the picture I'm using to advertise Tennessee. I need to book a return trip to the Smokies. 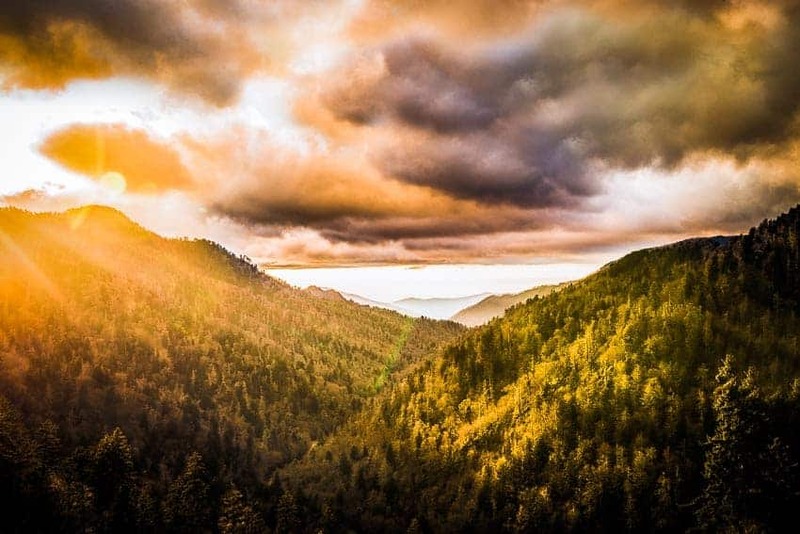 Tennessee is home to the photography wonderland that is the Great Smoky Mountains. I had the privilege of shooting it with some readers of Improve Photography a few years ago, and the location didn't disappoint. But the Smokies are not the only attraction. 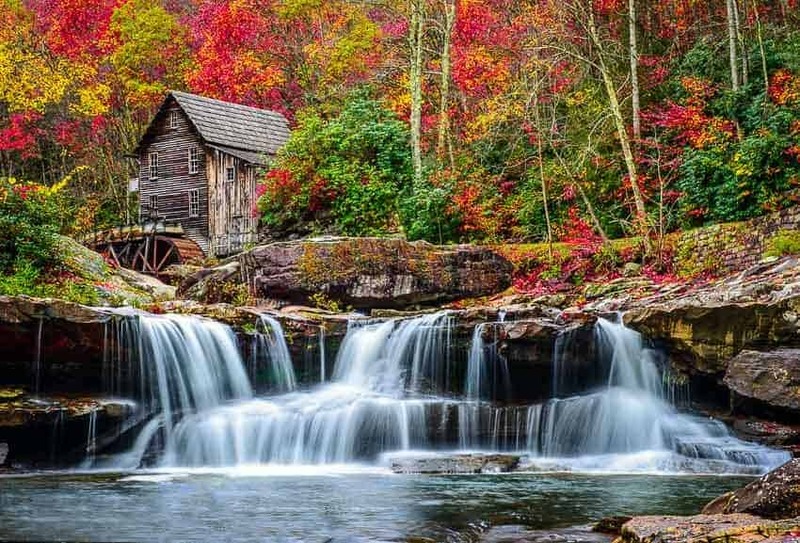 Tennessee is home to over 2,800 caves, the Copper Basin, the Grand Ole Opry for music photographers, and many gorgeous waterfalls. Tennessee is third in the nation for lowest living cost, which is important for photographers, who typically don't earn a very high salary. The average wedding in photography gig in Tennessee goes for $1,797.76. Photo by the author – Jim Harmer. 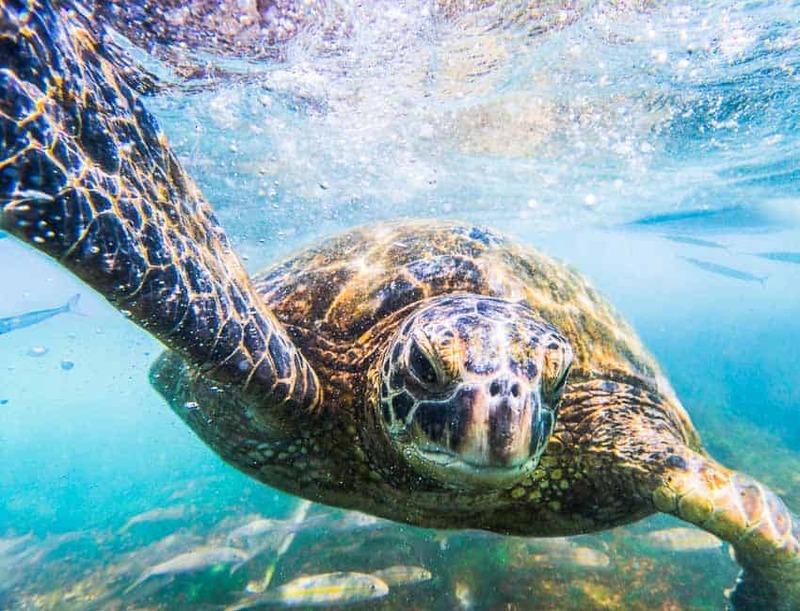 You have to be very careful not to disturb the turtles in the water in Hawaii. I waited for a LONG time this day in an area where I knew there were turtles for one to come up close to me. To keep the turtles from getting stressed, it's best to stand in one spot and wait for a turtle to feel comfortable to come to you, rather than invading their space. Aloha! Hawaiian photographers enjoy picture-perfect weather all year round, have beautiful landscapes to photograph, and they drown their sorrows with a plate lunch and coconut milk. The cost of living is extremely high. Ever drank $6 milk? It tastes just like $2 milk. But who really cares about saving for retirement when you already live in Hawaii? The average wedding photography gig brings in only $2,072.06 from locals, but the most successful wedding photographers in the islands cater to destination weddings. Hawaii also has the second most active photography community in the country, possibly because it's nearly impossible to visit without taking pictures of the beautiful scenery. Hawaiians also rank second highest on the list of the happiest states. If you make the move to Hawaii, save me some manapua and a place to crash on your couch. While Montana has a less diverse landscape, the mountain scenes rival any state in the union for landscape photography. Montana is home to both Glacier National Park and a little sliver of Yellowstone National Park, which are both easily in the top 5 National Parks in the country. Montana's average wedding photography gig averages only $1,514.78, but the state generally has a low cost of living which easily makes up the difference. Plus, you won't have to pay sales tax on your photo gear purchases. 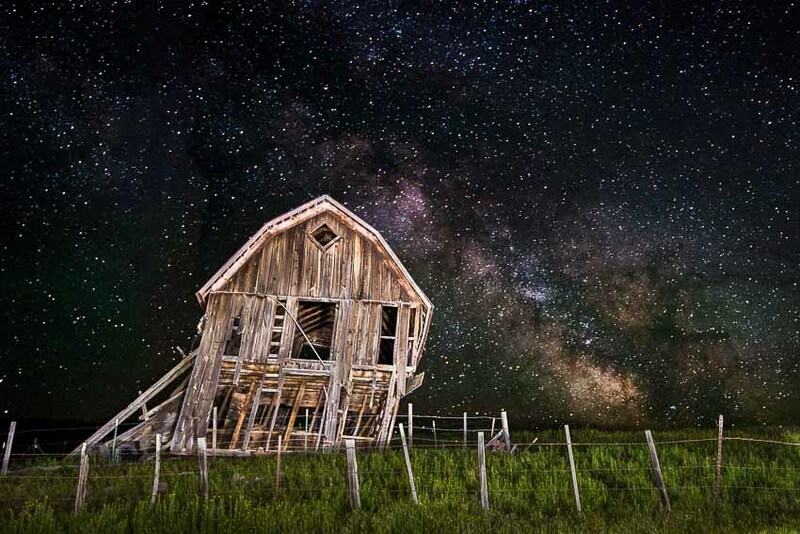 The photography community in Montana is relatively strong, ranking at #13 in the country. Photo by the author – Jim Harmer. 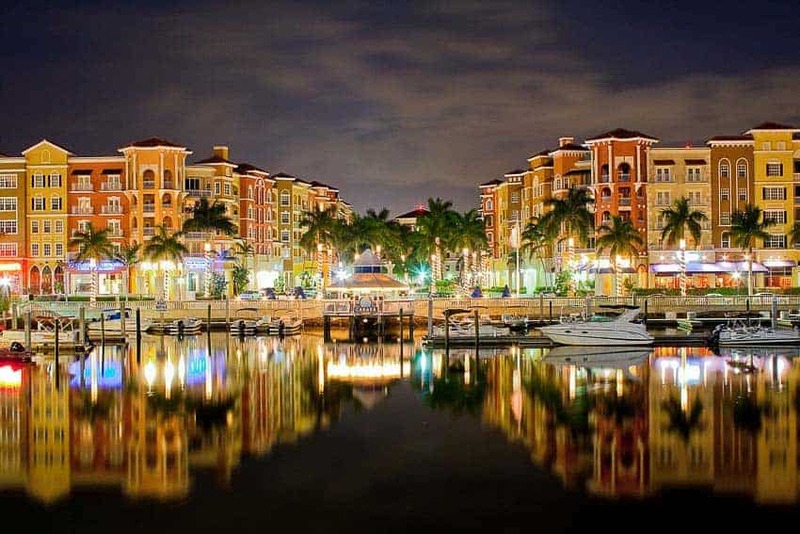 This is in Naples, Florida. With no state income tax, Floridians are able to keep a higher chunk of their earnings, but most of it will go to the cost of a home, which is quite high. However, if you live in the more desirable cities for travel such as Naples or Miami, you also have the option to shoot destination weddings which often command a generous price. The average wedding gig goes for $3,476, which is significantly higher than the national average. Having lived in southwest Florida for a few years during law school, I can confirm that the location is amazing. However, Florida doesn't offer much diversity in its landscapes. You can shoot the beach for a year and love it, and some photographers can be content shooting the birds forever, but eventually many Floridians get bored of shooting the flattest state in the nation. Also important to mention is the edges of the state are more photographically interesting than central Florida. Central Florida, several hours from the beach, is more flat and dry. Everglades National Park spreads through much of south Florida, and also Biscayne and the Dry Tortugas are appealing National Parks, but it's the abundance of state parks and public beach areas that make up the most popular photography locations. West Virginia fall color. Photo by the author – Jim Harmer. Almost Heaven, West Virginia. I spent a week shooting fall color in West Virginia with a group of readers of Improve Photography last year, and I can confirm that it has–hands down–the best fall color in the nation. It's absolutely unbelievable. After seeing fall color in West Virginia, it's hard to get excited about fall color anywhere else. But fall color only lasts a few weeks out of the year. To maintain such a high ranking on our list, West Virginia also offered a high volume of photography hotspots, a low cost of living, decent weather, and a state steeped in history. However, the number of photographers per capita is quite low in West Virginia, showing up at #46 of #50 in our list. Not having a strong photography community can make it tough to find a shooting buddy, but does make advertising photography services easier. The Mountaineer State comes in at #37 out of 50 on the list of amount wedding photographers earn ($1,623.93). Photo by the author – Jim Harmer. California offers great diversity for photography locations. 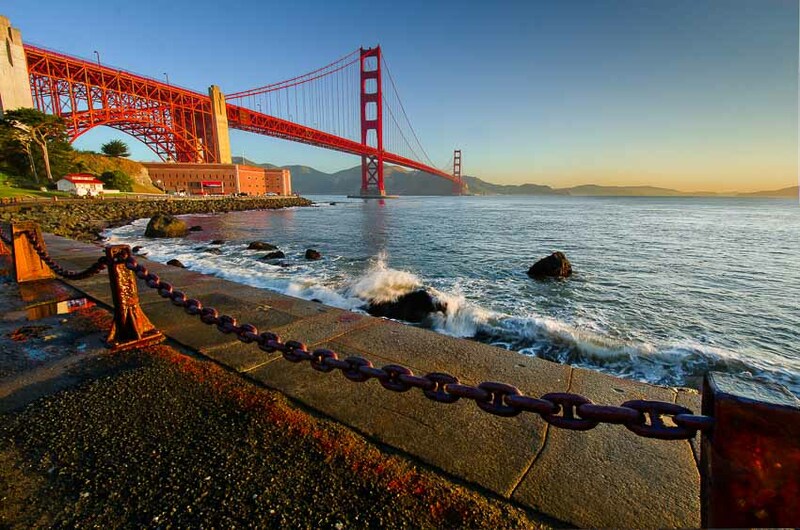 It offers 9 national parks, including Yosemite, Death Valley, and the Redwoods. However, there are also many negatives to living in California. Traffic and extremely high housing costs are among them. California has the 15th most photographers per capita in the United States, which means there is more competition for wedding photography, but the average wedding still goes for $2,770, which is 10th best in the nation. 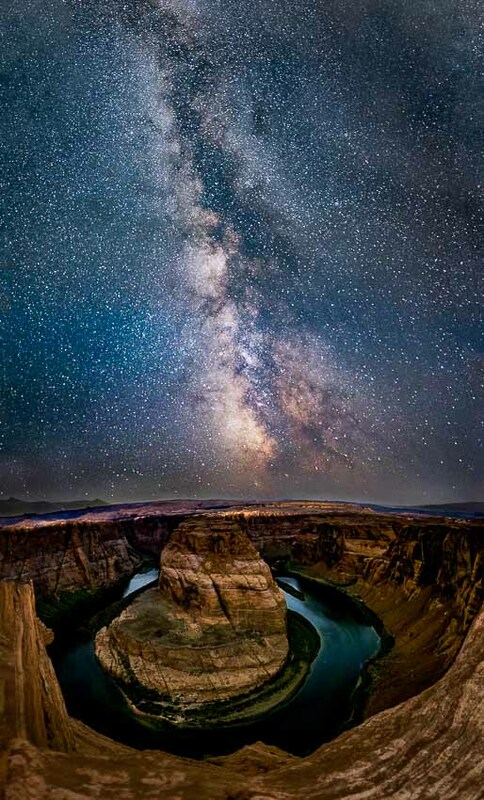 Photo taken in Colorado by the author – Jim Harmer. Colorado Springs is a great town for sports photography because it is home to an olympic training center. There isn't much that compare to Rocky Mountain high, Colorado. The mountainous landscapes offer excellent opportunities for landscape photographers, and the Maroon Bells are one of the hottest photography tickets of the fall season. Colorado is 19th in the nation for average photographer earnings, and the cost of living is moderate. Colorado also ranks fourth best in rankings of the happiness of its citizens. Photo by the author – Jim Harmer. This is Horseshoe Bend in Page, Arizona. Some may be tempted to think that Arizona has nice weather. Those who think so obviously haven't visited Phoenix in the summer. While the Grand Canyon may be the most photographed monument in Arizona, it's the northern tip of Arizona that holds, what I consider, the best photography location in the state–Horseshoe Bend in the small city of Page. Cost of living is somewhat higher in Arizona due to cooling costs, but the cost of housing is more moderate. Arizona ranks right in the middle of average photographer earnings (#25 of 50). See what I mean? Alaska offers so many compelling landscapes, but I could never quite pry myself off the halibut fishing boats. Photo by the author – Jim Harmer. 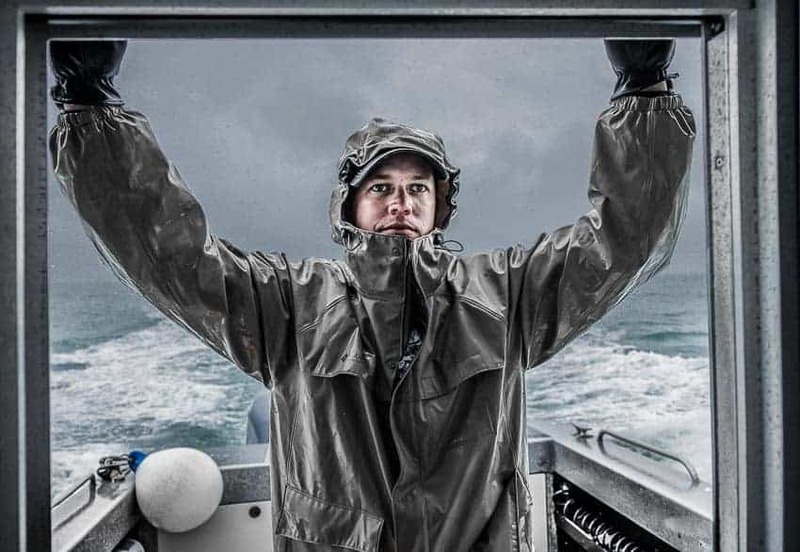 After visiting Alaska this year, I can confirm that it is beautiful, but I also must warn photographers to not give ear to the Siren call of halibut fishing or else you may never get the camera out of the bag. MMMMmmm. Halibut. See what I mean? Got completely sidetracked. Alaska received many votes from the Improve Photography community for the most photogenic state, and for good reason. However, the weather significantly dropped the ranking of the nation's largest state. The average wedding gig goes for $1,687, but the state has a moderately low cost of living. The actual cost of living in Alaska is somewhat difficult to calculate. You certainly pay more in utilities for heating, but home values are tough to calculate because of the many homesteads that have large parcels of land attached. But seriously. Photo locations, AND halibut. Mostly halibut. Michigan has the 5th lowest cost of living in the United States, and maintains relatively high wedding photography ($2,541.88 on average), which is an excellent combination for running a portrait photography business. While Michigan received no votes from the Improve Photography community for the best state to take pictures, it is home to one national park, Isle Royale. South Carolina has a lower than average number of photographers per capita, which means the business of photography has a little less competition, but that the photography community is not as strong as other states. Cost of living in South Carolina is also relatively low, which helped its rankings, as well as having decent weather for most of the year. Wedding photography pricing averages $2,309.21, which is higher than the average nationally. Virginia has excellent fall color and long stretches of gorgeous coastline. Economically, Virginia is a solid choice for a photographer. It ranks #21 in the nation for lowest living expenses, and #21 for highest wedding photography prices ($2,052). We published an article with the best 35 photography locations in Virginia here. Georgia received no votes from the Improve Photography readers for the best state to take pictures, and it has no national parks, but has other redeeming qualities that brought it up fairly high on the list. Georgia's cost of living is 18th lowest in the nation, while maintaining the spot for 19th highest wedding photography prices. That's a winning combination if you're in the portrait photography business. Georgia also has decent weather and ranks right in the middle of the pack (25 of 50) for photographers per capita. Missouri ranks #21 of 25 for the number of photographers per capita. Missouri wedding photography averages $1,841.40, which is below the national average, but also has the lowest cost of living of any state–a fact that boosted it in our rankings. I think Maine got the short end of the stick in this poll. It should have done better, in my opinion. Maine is breathtakingly beautiful during fall color, and the lighthouses and Acadia National Park offer unmatched photography opportunities. Maine attracts average wedding photography prices of $2,445, which is the 15th highest in the country. But statistically, Maine was dragged down by a somewhat high cost of living and unfriendly winter weather in much of the state. Nevada offers interesting opportunities for photographers. With the skyline of the Las Vegas strip, Great Basin National Park, and to close access to Arizona's Grand Canyon, Nevada has excellent opportunities for landscape photographers. Las Vegas also offers an excellent modeling community for portrait and lifestyle photographers. 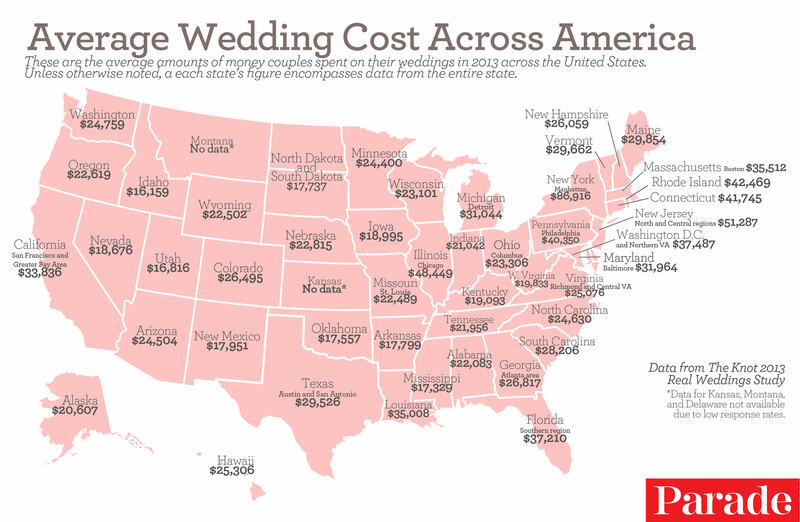 Wedding photography averages $1,529.19 and the cost of living in Nevada is relatively high (15th worst in the country). Ohio has a low number of photographers per capita (#34 of 50 states), which is good as it reduces competition but also reduces the strength of a photography community. The cost of living is slightly higher (#33 of 50 states), and wedding photography pricing is average at $1,908.30. Ohio is also home to Cuyahoga Valley National Park, which is an excellent asset for nature photographers. Another good reason to live in Ohio? It has the most Arby's locations of any state, and nothing quite compares to curly fry photography. Mississippi ranked dead last for the number of photographers per capita. It ranks highest for the fattest people (maybe I should move there… hmm…. ), the shortest life span, and the most people on welfare according to data from the CDC. Mississippi citizens also said they are the fourth saddest of all the states. Mississippi wedding photographer are third from the bottom in their earnings per event. Mississippi received no votes for the best state to take pictures, and Mississippi has no national parks.